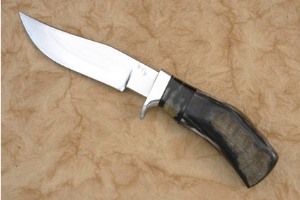 Description: Perhaps most desired of Journeyman Smith Bill Burke's knives are his black sheep horn hunters. 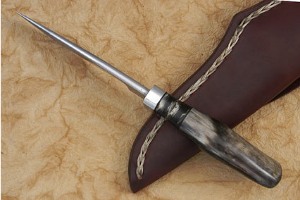 Black sheep horn is extremely hard to find -- especially of this quality. 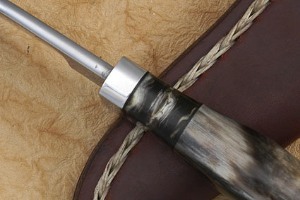 The handle and spacer are predominantly black with white veins traveling across the surface. 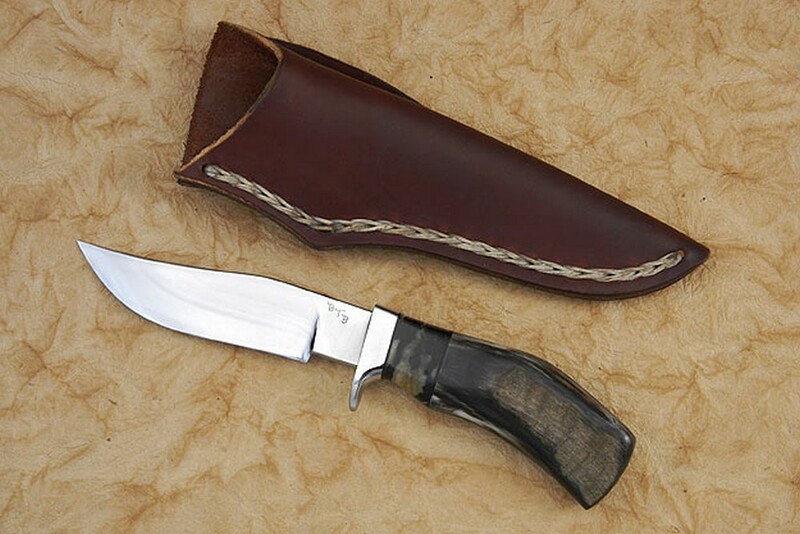 Adding to the rarity of this hunter, Bill has forged the blade with a clip point rather than a drop point. 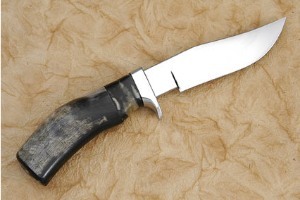 Finally, the guard is formed from nickel silver, rather than brass. 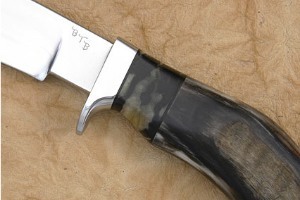 This makes a very nice contrast to the black horn handle. Bill Burke has become well known for making knives that are as high performance as hunters can get. Each knife is pre-tested for edge flex and cutting ability before assembly. The heat treat follows the formulas developed by Bill and Ed Fowler, Bill's teacher, and has been proven to create some of the sharpest and most long lasting edges found anywhere.